← Why Close a Perfectly Good Nuclear Power Plant? Low North American natural gas prices continue to fundamentally change the future of energy. In Enerdynamics’ blog, we’ve already talked about the shift to gas-fired electricity generation, development of Compressed Natural Gas (CNG) vehicles, and the growth of natural-gas intensive manufacturing. But yet another development is gaining momentum as some big players move forward with developing Liquefied Natural Gas (LNG) as a transport fuel. The difficulty with using natural gas as a transport fuel is that natural gas at normal temperatures and pressure is not dense enough for it to be practical to hold the fuel in a tank on a vehicle or ship. One way to deal with this is to compress the gas to raise its pressure so that more gas will fit into the practical volume of a vehicle tank. Typical pressures are above 3,000 pounds per square inch (psi). To get a sense of what this means, the pressure can be compared to the one-quarter psi (pressure in common residential use). An alternate is to use LNG, which can operate at relatively low pressures of 70 to 150 psi. Instead of a thick tank that can hold the high pressure of CNG, vehicles instead need an insulated tank that keeps the gas cool. Shell is attempting to address the fueling issue for the trucking industry by investing its own money to build out infrastructure in key areas. Shell has begun implementation in initial key trucking corridors. In 2011 Shell started in Alberta, Canada, in a partnership with Flying J Truck stops. To provide the LNG, Shell built a small LNG plant in Alberta. In 2012 Shell announced a plan to provide LNG at over 100 TravelCenter of America (TA) sites in a Great Lakes corridor. And in March of 2013, Shell announced plans to develop two LNG liquefaction plants – one in Ontario to supply the Great Lakes corridor and a second in Louisiana with a focus on shipping in the Mississippi River and the Gulf of Mexico. Combined with efforts elsewhere in the world, multiple sizeable parties in the U.S. are attempting to take a leadership position in transitioning LNG to a widespread transport fuel. If they or others are successful, we will soon see natural gas making major new inroads in markets now dominated by petroleum-based fuels. Liquefied Natural Gas, or LNG as it is commonly called, is natural gas cooled below the point where is changes from gas to a liquid. At typical pressures, this occurs at about -260 degrees Fahrenheit. 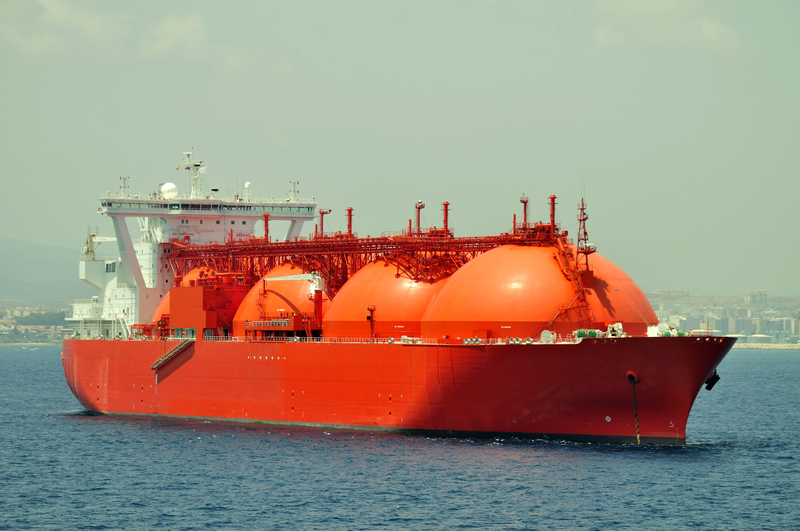 The advantage of LNG is that gas shrinks in volume by a factor of about 600 when liquefied, thus making it practical to transport the fuel in fuel tanks. This entry was posted in Natural Gas and tagged Compressed Natural Gas, Liquefied Natural Gas, LNG, Natural Gas, Natural gas education, Natural gas industry, Natural Gas Markets, Natural Gas Prices, Natural gas supply. Bookmark the permalink.